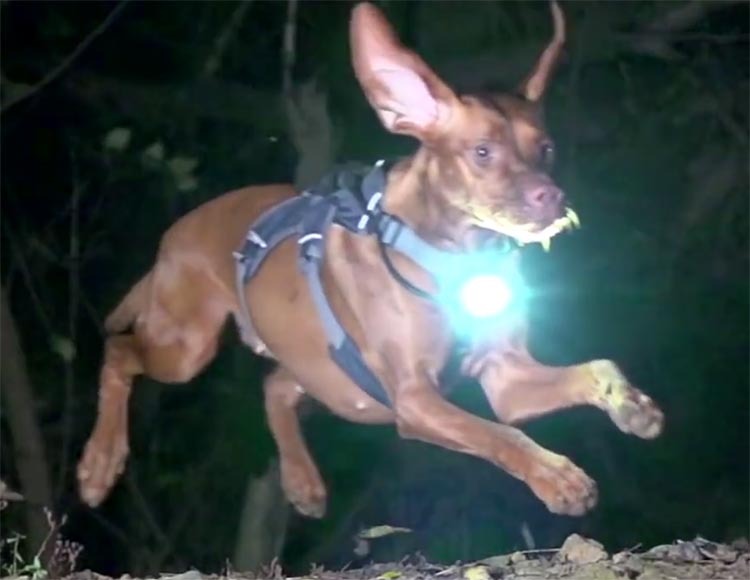 The Lupine Piko 4 Light is an ultra-bright, super lightweight light that is perfect for athletes who exercise in the dark, whether they be cyclists, runners, rock climbers or hikers. Here’s our full review. I was lucky enough to be able to test the Piko 4 Light for several days, thanks to my colleague Alex Trapp, who generously lent it to me. Unfortunately, now I want one of my own! 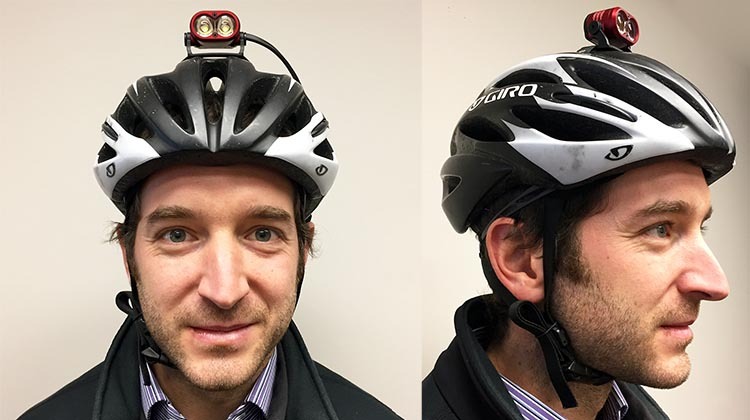 Here, Alex shows us how the light looks from the front and side when worn on his bike helmet. The first thing I liked about the Piko 4 Light was how lightweight it is. 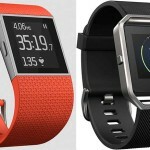 It’s basically the size of a matchbox, and only weighs 55 grams. It also has that feeling of top quality German engineering. Nothing plastic about this light! Here is the Piko 4 Light, showing the battery, the light, and the remote control. The light is the size of a matchbox, and only weighs 55 grams. But it has that feeling of top quality German engineering. There is nothing plastic about this light! However, the Piko 4 Light is so compact and lightweight that I did not seriously believe it would put out much light. Or if it did, I thought it would be very pinpointed, without the breadth of beam one needs for safe commuter cycling. Well, I was wrong, as I found out after I transferred it to my helmet and took it out on my bike for some rigorous road testing. I was excited to find out that the Piko 4 Light offers great peripheral vision, as well as lighting up the road up to 200 meters ahead of you. It’s simply superb for navigating dim to pitch dark roads and even trails at night. My route home includes an off-road trail through a dark forest, and this Piko light made it safe and easy. I could even see the pot holes. Here you can see a cyclist and a dog having great fun with their Piko 4 lights! As you can see in the photo below (on the right), this light turns night into day, with the beam dispersing evenly all around. It is actually meant to create a day-time impression, as the 1500 lumens of LED lights are designed to have a color temperature that mimics the sun. 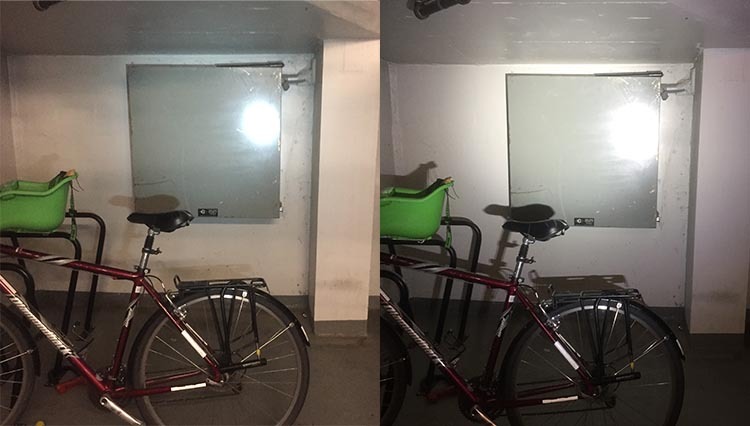 The light on the left is caused by the big light on my Haibike, which is powered by the same powerful battery that powers the bike. It’s a great light which I thought was adequate for night time cycling. But look at how much less bright it is than the Piko 4 light on the right! Also note how well the Piko 4 disperses light around the room. The light on the left is caused by the big light on my Haibike, which is powered by the same powerful battery that powers the bike. It’s a great light which I thought was adequate for night time cycling. But look at how much less bright it is than the Piko 4 light on the right! It was like someone switched the room lights on! The Piko 4 Light by default has three levels of brightness that I used (super bright, bright, and not so bright). This photo shows the lowest level and the brightest level. In reality, the two lower levels of brightness are the ones you are likely to use. The brightest setting would be for when you are on a lonely dark road or a trail, and the dimmest level would be when you are around other people. Because the only thing you have to worry about with the Piko 4 Light is blinding people. Of course the Piko 4 Light also offers other modes, including flashing modes, which are accessed and programmed by pressing the buttons on the remote unit and the light unit. However, I recently wrote a post about when to use flashing bike lights, and received so much feedback from readers about how flashing front lights make them disoriented, or give them headaches, that I have decided not to use flashing mode any more. The Piko 4 Light comes with a range of mounts to give you options. You can mount it on a quick release mount on your handlebars. The 3M Dual Mount lets you mount it to almost any helmet. And you can even mount it on a GoPro mount. 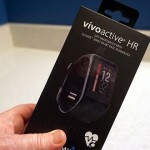 It also ships with a head strap so that you can strap it to your head for rock climbing or running. You can even strap it to your dog, as you can see in this still from the awesome video by Bike Radar (video above). The helmet mount can be used on any kind of helmet, whether cycling or skiing. It easy enough to install that you can keep switching it onto different helmets, if you need to. The mount is hinged, so that you can use it at different angles, as shown in this photo. Of course, if you have people ahead of you, you are going to want to angle the ultra bright light towards the ground, not towards their eyes. The Piko 4 mount is hinged, so that you can use it at different angles, as shown in this photo. When using the light on your head, you can carry the battery in a pocket. When using it on your handlebars, you can mount the battery on your bike using the provided Velcro strap. The Piko 4 Light also comes with a remote control so that you can control it from the handlebars. It’s very tiny. You can also use this button on the remote control to program the modes you want to use on the light. For example, always switch on in bright mode. The Piko 4 Light also comes with a remote control so that you can more easily control it when it is on your head. 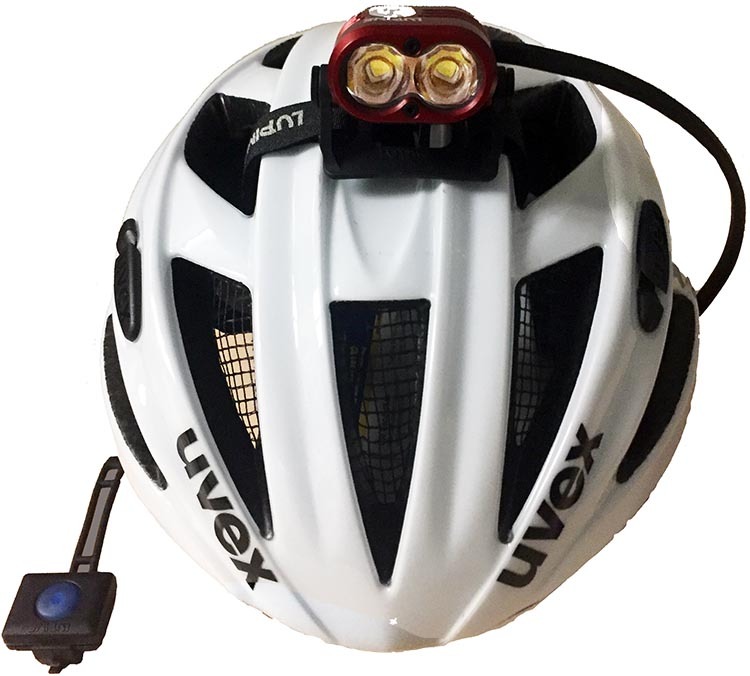 Previously I have controlled light levels on my Lumintrail helmet light (reviewed here) by reaching up and pressing the buttons. However, I found this difficult to do with this light while wearing thick winter gloves, as the light is very tiny, meaning the buttons are also tiny. So, the remote control is necessary when you are wearing thick winter gloves. Lights have come so far in recent years it’s quite mind boggling, and the Piko 4 is right out in the front of the race. For example, it is designed to be cooled by air flow. 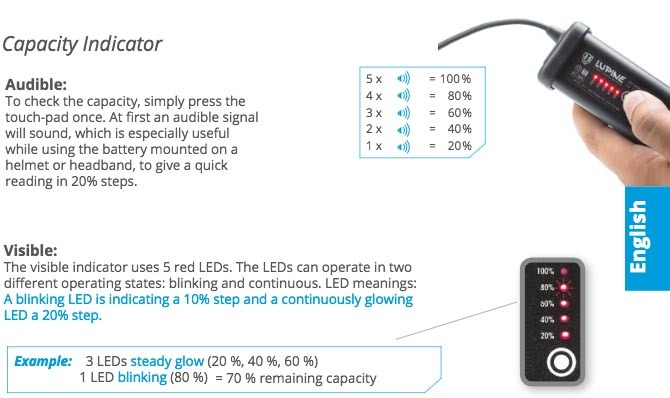 if for some reason this does not happen, its power automatically reduces incrementally to prevent the LEDs and electronic elements from overheating. 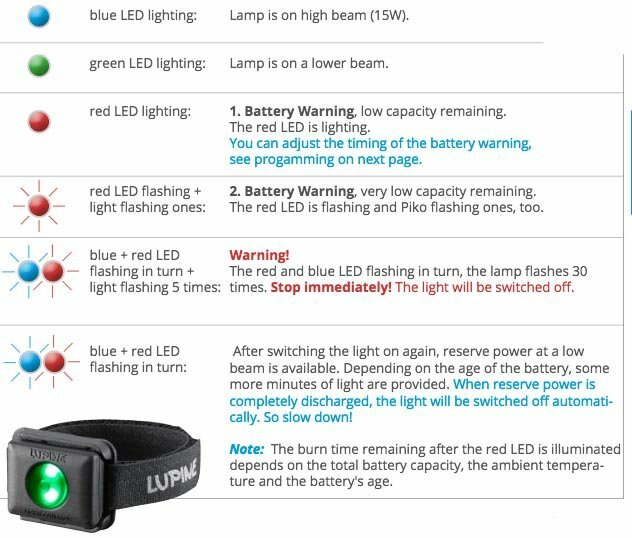 The Piko 4 Light also has two little lights that give you constant updates on how bright your light is and how high or low your battery level is. There is one small light on the light unit and another on the remote control. The battery pack also communicates with you about its level, and it communicates both audibly and visually. 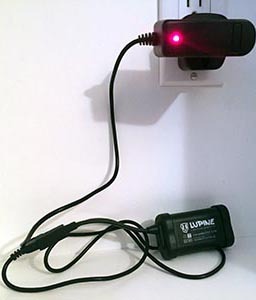 The Piko 4 Light comes with a charger so that you can quickly charge it directly from the wall. The Piko 4 Light even has an SOS function, which could be great for solo hikers. It should of course only be used in an emergency. Note that in many jurisdictions it is illegal to use an SOS if you are not in some kind of danger. Finally, battery life on the Piko 4 Light is insanely good, with up to 80 hours on dim mode. It comes with a charger so that you can quickly charge the 3.3 Ah Rechargeable Battery directly from the wall. At 1500 lumens, this light is perfect for people who exercise at night. The Piko 4 Light is so ultra bright, that some might think it is too bright. After all, the average single car headlight on dim is only 700 lumens. However, you have the medium and dim settings to reduce the brightness when needed, plus the extreme versatility of the mount to change the angle. And if it’s on your head, you can just turn your head away if you are in danger of blinding someone. But the crucial point is that with this light, you WILL have the necessary light when you need it, to be able to see where you are going and keep yourself safe. This is a superb light for athletes in every respect: brightness, beam width and light dispersion, distance ahead you can see, weight, battery life, engineering quality, electronic controls, and reliability. If you exercise in the dark and you can afford it, this top notch light is well worth the expense. This post originally appeared on Average Joe Cyclist.